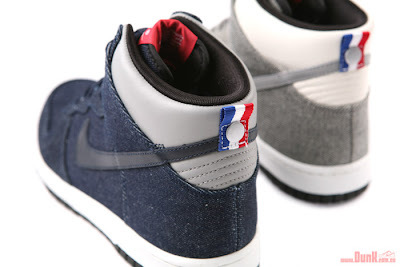 Nike Premium Dunk HI's. Love when kicks utilize denim - such a durable material. Obviously you want to use caution - and not be to extreme when combining denim pieces in a single outfit (um, yeah) - but teaming this with a nice pair of khaki's and an offsetting denim jacket would be the business.